Venice itself; its canals, bridges, architecture, lagoon and lanes, can be explored and admired totally free. In fact, although holiday practicalities - eating, sleeping, shopping and travelling - are expensive, Venice is remarkably cheap for sightseeing. If you want a cheap holiday, we recommend you concentrate your budget on two essentials: accommodation and boat travel. Money can be saved elsewhere, but these are two elements of your holiday that will be crucial to your enjoyment and comfort. You can see Venice on foot but it's tiring and time-consuming and you'll miss some of the city's greatest experiences. Equally, you can save money by staying outside Venice but it simply won't be the same. Cut your spending on eating: restaurants in Venice are more expensive and lower-quality than in the rest of Italy. If you're prepared to eat snacks and budget meals you'll save lots of money without missing much. Buy picnics and snacks in supermarkets; eat take-away slices of pizza. A heated sandwich in a bar won't cost much (look for somewhere packed with locals), and there are a few cafeteria-type eateries where you can get a hot plate of pasta for €5. There are lots of ways to save money on 'paying' tourist attractions: being old or being young work best. Over-65s and under 18s will find state museums are free to enter, while there are reductions for the under-25s. Other museums generally offer some kind of discount to first two categories. Carry your passport as proof of your age. There are a range of tourist discount cards, including the Rolling Venice card which is good value for anyone under 30, and there are various combined tickets for museums and churches. During Heritage Week, which is usually in May, state museums are free to enter (in Venice this means the Accademia and the Ca' d'Oro). 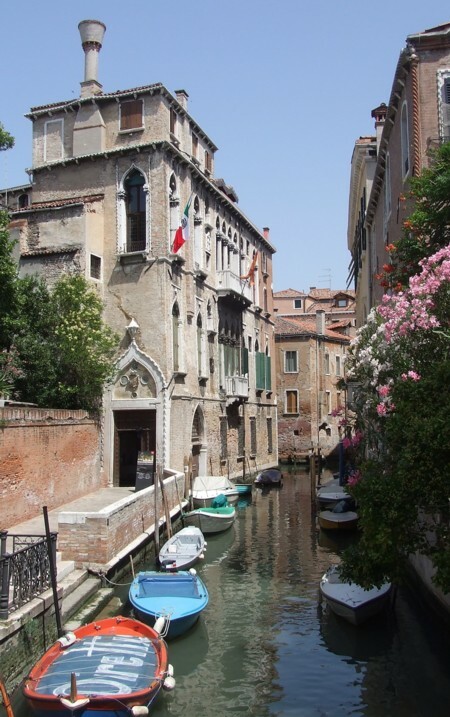 More about the full range of sights in Venice can be found on our tourist attractions page. The exhibits of the Venice Biennale, a massive international art show which takes place every other year, are distributed all around town. You will have to pay to enter the two main sites at Giardini and Arsenale, but there are lots of affiliated shows in other locations which are free to enter. The quality is variable, but you'll find something to appreciate or debate. You may even be able to pick up free posters to decorate your house if you're a real cheapskate. As a tourist you may be even more interested in the sites of these art exhibitions. Often they're housed in fantastic historic palaces which would otherwise be closed to the public. So for no money at all you can take in an avant-garde art show and also explore the courtyards, gardens and interiors of some of Venice's loveliest buildings. More information on the various locations can be found on the Biennale website, and we give details of some highlights on our Biennale page: in the past these included chances to visit Gothic Palazzo Soranzo van Axel (for the Mexican art show) in Cannaregio and the grand Baroque Palazzo Zenobio in Dorsoduro (various nations). It's not only modern art that you can admire without paying. Some of Venice's historic masterpieces can be admired free in local churches (see below). Many of Venice's fine churches charge an admission fee to cover their costs of upkeep. Others, however, are free to enter, although you may wish to consider a voluntary contribution according to your means. Venice is thronged with churches covering whole centuries of architectural styles, offering great lessons in the history of architecture. They also contain glorious monuments, tombs and paintings by some of history's greatest artists. We've listed some of the best free churches below. Sometimes the main church is free, but you need to pay a small charge to enter the sacristy or chapels containing the church's most prized art. You will sometimes need coins to illuminate paintings. Remember that you should cover yourself up and behave with decorum in religious sites. > St. Mark's Basilica, the greatest of Venice's churches, is free to enter (expect queues, don't try to enter with a rucksack or indecent clothing). The terrace, museum and chapels have entrance fees. > Santa Maria della Salute - the main part of the church is free, as are occasional organ vespers. > San Vidal - this church, by the Accademia Bridge, is used for evening concerts. In the daytime you can enter free. The church's treasure is above the high altar; a painting by Vittore Carpaccio of San Vitale. > I Carmini - the Church of Santa Maria del Carmelo contains paintings by Lorenzo Lotto and Cima da Conegliano. These aren't totally free as you need to cross the waters of the lagoon. However, we really recommend you find the money for a travelcard, and save on food or souvenirs if necessary. Although you must pay to enter museums, exploring islands is totally free. > San Michele - there is no admission charge to the cemetery island. > Torcello - the Church of Santa Fosca is free, although it would be a shame to come all this way and not pay to enter the famous cathedral. > Burano - famous for its colourful painted houses. Absolutely free to admire! > Murano - the island's glassware is expensive but resistable. You can look around the showrooms (many of which are like galleries) free, and also see glass-makers at work in one of the busy factories. > Mazzorbo - a pretty rural island alongside Burano. > Lazzaretto Nuovo - a former quarantine island which can be toured at weekends. The tour is free but you can make a voluntary contribution at the end. > Sant'Erasmo - you can stroll around the island, buy cheap fruit and vegetables from producers, and enjoy cheap food and drink at a little bar by the lagoon. Free events in Venice are not always well-publicised, but keep an eye on posters around town. Touring foreign choirs will often give free concerts in Venice's churches, there are local church festivals for saints' days, and occasionally you'll just stumble across free live music in a piazza or bar. During heritage week in May there are free events organised in museums, and by scrutinising the 'what's on' leaflet from the tourist office you might find more cultural initiatives that don't cost anything. Big festivals and rowing events can be watched without charge, and during the Carnival there are lots of free entertainments in St. Mark's Square, as well as lots of costumes to admire. We pick out a few events in our own What's on page. In Italy you are usually expected to pay to go to the seaside. 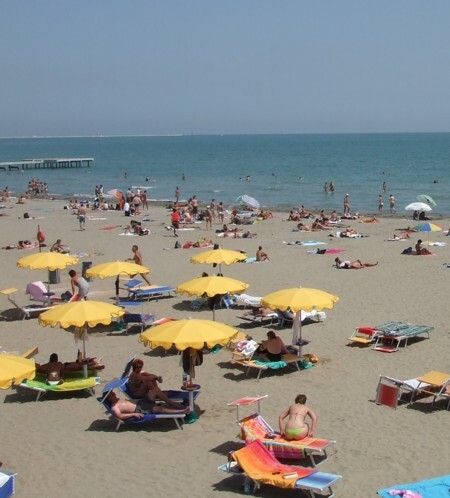 Beaches are lined with establishments where you must pay to rent a sunbed alongside hundred of others sunbathers. Technically you should have the right of access to the sea, but these businesses make it difficult. However, there is a stretch of 'free beach' (spiaggia libera) in easy reach on the Lido, straight over the island from the vaporetto stop. Take something to lie on, as the gritty surface isn't particularly clean. There is a white 1930s car park building dominating Piazzale Roma, the city's bus terminus. By taking a lift to the top floor you can enjoy the view over Venice. It doesn't compare with the more central viewpoints of the campanili of San Marco and San Giorgio Maggiore, but it is free and if you head up here on arrival in Venice it will give you a nice overview of the confusing island-city. Back down at entrance-level, the building also houses a tourist information office where you can pick up a free Venice magazine and what's-on guide. As residents we're not totally comfortable with recommending you spend no money in Venice. This town suffers dreadfully from the sheer volume of visitors. It's compensated by the fact it also makes a living from tourism, and funds its restoration programmes and upkeep this way. Fair enough, you should avoid rip-offs. But consider carefully whether you want to add to the crowds and the demands on basic services without contributing anything to the city's economy. Paying for accommodation within the city (all those lovely taxes) and for local transport will benefit both you and Venice, and should help keep your conscience clear. All the same, do expect filthy glances from locals (and possible arrest or fines) if you open your homemade picnic outside local food businesses, or buy cheap goods from illegal salesmen. Here are some of the words to look out for - Italian terms for 'free of charge': ingresso libero (free entrance), gratuito, gratis. Ridotto means at a reduced price.